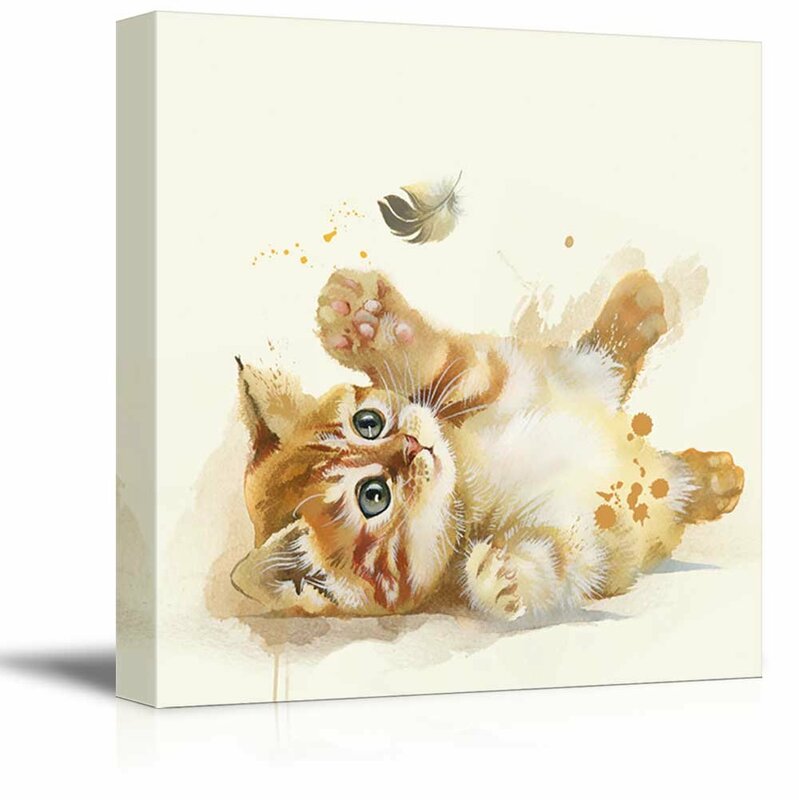 Our canvases are a high grade hybrid of premium cotton and polyester, ensuring a beautifully finished canvas resistant to warping and distortions for years to come. Canvases are wrapped and stretched on a 1.5" thick formaldehyde-free frames. Our frames are lightweight, sturdy, and professionally made in-house to the highest standards. They are resistant to warping from climate changes in your home. Certainly a professional touch to any room. Your canvas will arrive stretched and wrapped on a frame, ready to liven up any room you place them, straight out of the box. Hanging kits are included with your canvas for your convenience. We only use the most premium grade inks for your canvas art. Rated to be archival grade, the inks used on your canvas will last years without fading as well as best represent the original colors of your artwork. From start to finish, your canvas is born in the USA. We start off with basic raw materials sourced from local small businesses and finish with a beautifully assembled canvas ready to be shipped. With the utmost attention to detail, we stand behind our products and look forward to you loving our work. Regardless of handmade products or not, shipping should never take longer than 1 week. We pride ourselves in fast shipping so you can display your artwork as soon as possible. On average, our customers receive their orders in 2-3 business days, no matter where they're located in the United States. Wall26 is proud to maintain an overall 5-Star Customer Rating! This product is absolutely gorgeous and bigger than expected. It is a christmas gift for my daughter so i haven't hung it up yet, but looks to be good quality and she will love it. It also arrived a day before its earliest expected arrival. Absolutely love this. Someone actually thought I painted it, lol. So adorable! I was looking for a simple picture for my kitten foster room area and this is purr-fect! Gorgeous, looks like my cat!!! A little pricy but very cute! Beautiful. Is part of my deceased baby's memorial. Enjoy the color and modern expression. Was a gift for Cozy Cat and they loved it. If for any reason you are not completely satisfied with your purchase, you may return it within 30 days of receipt and receive a free replacement or a full refund for the price of the product. © 2019 wall26.com, All rights reserved.